Oxide is a compound of oxygen and another element or radical. Water (H2O) is an oxide. Oxides are binary compounds of oxygen with another element, e.g., CO2, SO2, CaO, CO, ZnO, BaO2, H2O, etc. These are termed as oxides because here, oxygen is in combination with only one element. 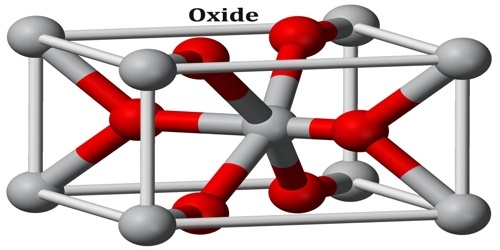 “Oxide” itself is the dianion of oxygen, an O2– atom. Metal oxides thus typically contain an anion of oxygen in the oxidation state of −2. Most of the Earth’s crust consists of solid oxides, the result of elements being oxidized by the oxygen in air or in water. Hydrocarbon combustion affords the two principal carbon oxides: carbon monoxide and carbon dioxide. 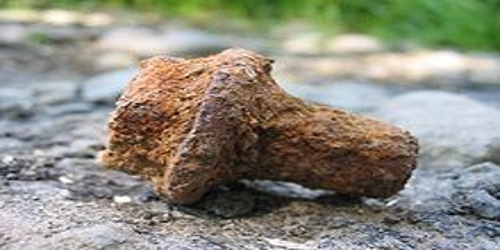 Even materials considered pure elements often develop an oxide coating. There are different properties which help distinguish between the three types of oxides. The term anhydride (“without water”) refers to compounds that assimilate H2O to form either an acid or a base upon the addition of water. Oxide materials are of great scientific and commercial interest. High temperature superconductors, magnetoresistive materials, piezoelectrics, ferroelectrics, multiferroic materials all are found amongst the oxides. 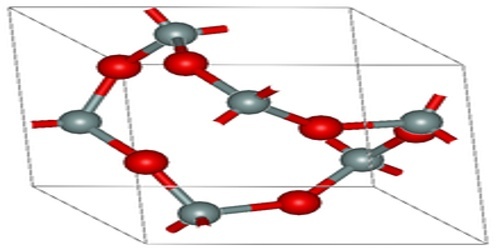 It can be obtained as single crystals, which allows diffuse scattering studies to be performed, in which we look at the short-range order in the materials. This is particularly relevant in substituted and mixed oxides, for example PZN, PbZn1/3Nb2/3O3; where the ions on the mixed site (Zn/Nb in this case) do not go in in an ordered way. Here is a presentation concerning diffuse scattering and PZN. A smooth variation from ionic to covalent in the type of bonding in oxides is observed as the periodic table is traversed from the metals on the left to the nonmetals on the right. This same variation is observed in the reaction of oxides with water and the resulting acid-base character of the products. Ionic metal oxides react with water to give hydroxides (compounds containing the OH− ion) and resultant basic solutions, whereas most nonmetal oxides react with water to form acids and resultant acidic solutions. 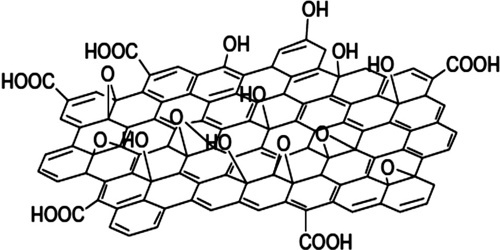 superoxides, containing superoxide ions, O2−, which also have oxygen-oxygen covalent bonds but with one fewer negative charge than peroxide ions. Most of the time, oxidation occurs in tandem with a process called reduction. Reduction is the process of gaining one or more electrons. In an oxidation-reduction or redox reaction, one atom or compound will steal electrons from another atom or compound.